3.Who are constant in prayer and give charity, for it is they who in their innermost are certain of the life to come. 4.It is they who follow the guidance [that comes to them] from their Lord, and it is they who shall prosper. 5.But among men are those who prefer a mere play with words so as to lead those without knowledge astray from the path of God, and to turn it to ridicule. For such there is shameful suffering in store. 6.For, whenever Our messages are conveyed to such a one, he turns away in his arrogance as though he had not heard them – as though there were deafness in his ears, give him then the tiding of grievous suffering [in the life to come]. 7.Surely, those who attain to faith and do righteous deeds shall have gardens of bliss to abide therein in accordance with God’s promise, for He alone is the Almighty, the Wise. 8.He [God] created the Heavens without any supports that you could see, and has placed firm mountains upon the earth lest it should be convulsed with you, and He spread on it living creatures of every kind to multiply thereon. 9.And We send down water from the skies and thus We cause every kind of life to grow on earth. 10.All this is God’s creation. Now show Me then what others than He [God] may have created? Nay, the unjust are in manifest error. Shadia Mansour is a young and talented Palestine singer who currently lives in London. Her melodic voice and lyrics focuses on the struggle of her people to be free. Shadia’s songs talk of love and justice, of peace and harmony for all. Using religious and traditional folk songs as the basis of her repertoire, she infuses her haunting music with passion and pertinence. Her performance stresses the common pain and suffering experienced by people of different religions but the same God. Her best known track is called Asfur, meaning Bird. It tells about a young Palestinian boy who is forced to leave his home and ends up in a Jewish girl’s place. The River Nile Band is an Egyptian group led by Waeil Abo Baker who was born in Cairo in 1952. He has been playing the violin since the age of seven. The band is renowned in Egyptian musical circles having played with the most famous singers in the Arab world. They also participated in an around the world tour with Led Zeppelin, integrating Arabic music with Rock and Roll. Lagl al- Nabi (For the Sake of the Prophet). These two songs are among the most popular of Muslim devotional songs and are great favourites of the Arab world. They talk about the need and hope that God will accept our prayers and keep us close to the path of Prophet Muhammad. The songs also express the desire of all Muslims to visit Makkah and Madina, the Holy Places of Islam and to find spiritual solace in this world and the Hereafter. This multi-talented duo come from an outstanding musical pedigree which represents a new generation of African kora musicians with a unique style that blends melody with rhythm. Sekcou Keita, the elder brother began his international career in 1996 under the guidance of his legendary uncle, Solo Cissokho who is based in Scandinavia. Together they toured Cuba and performed at the Global Music Festival in India. In 1998, Seckou and his brother Sura moved to the UK where they became members of Baka Beyond performing at Womad and Glastonbury. In 2001, Seckou impressed audiences as a solo performer at Womad (Las Palmas), the Sacred Music Festival (Ireland) and the Jazz Café (London). He was also a top performer for the Africa night broadcast by BBC Radio 3 with a nomination by the listeners of Radio 3 for the World Music Award 2001. Seckou has continued his international career by performing in 2002 as a supporting act for the masterful Muslim singers from Mali and Senegal: Salif Keita and Youssou’N’Dour. In 2003, he collaborated with artists such as Martin Simpson and Tony MacMinus in the “Hand Picked Tour’ project. In 2004 “Acoustic Vibes” was born impressing audiences across the UK with a current successful tour in 2005. Together with his brother, Seckou will perform Allahlake (only God decides), which is a traditional rendition about two brothers fighting for the kingdom. Kaira (Peace) is a West African folk song about peace and love between people while Afo (Say it) is an instrumental piece that reflects love and harmony and is composed by Seckou Keita. The duo concludes with Nfa (My Father), which extols and praises the filial links between father and son. This quintet of young musicians hails from different parts of the Malaysian peninsular and have found common ground in the United Kingdom. Under the dynamic leadership of Hilmi Yusof, the band has carved out a special niche for itself in the field of nashid (liturgical) music. Aside from their musical inclinations, the band’s members are all currently students at Leeds University and Leeds Metropolitan University. Beside Hilmi, the founding members of this troupe include Fansuri, Akyun, Hezri and Farid. Their inspirational religious songs in Malay highlight the social and spiritual themes that are common throughout the Muslim world. Their opening rendition is entitled Lima Cinta (Five Loves) which emphasizes love for God, the Prophet Muhammad, parents, children and the Muslim community. The second song is entitled Rayuan Rindu (Praying for God’s Love), while the third is called Suci Sekeping Hati (Purity of the Heart). They conclude their performance with a stirring and uplifting melody called Keuarga bahaeia (Happy Family) which epitomizes the centrality of familial relations in traditional Malay Muslim society. Qawali as a musical form is closely linked to the Sufic and mystical traditions of Islam and the particular practices that Sufi practitioners and scholars developed to achieve closeness to God and genunine proximity to the Divine. Music in early Islam was a key tool to inspire religious devotion. Arab musicologists such as al-Kindi (d. 873) and al-Farabi (b. 872) wrote on the effects of music and spirituality. These songs have an underlying theme of religion and spirituality and have the power to hypnotise and transfix their audience. This kind of liturgical and devotional music spread across the Islamic world from the 8th century and has a special resonance today in the Indian sub-continent. Ustaz Ali Hafeez Khan is a British-based exponent of this particular genre. He was trained in Pakistan as a vocalist and musician and has puts his own stamp to the lyrics and rhythms of Qawali. He has given moving performances to rapturous audiences both in the United Kingdom and in his native homeland. Together with his troupe, Ustaz Ali Hafeez Khan will perform several compositions from different musical categories. The first two are titled Allahu Hamd (Glory to God), Nigha he Karam (Praise to the Holy Prophet). This is followed by Ankiya o Dektiya (Punjabi love song), Teri Surat (Your loving face is always before me), and ends with Lal Meri, the traditional Sufi song concluding most Qawali performances. Abdullah Chhadeh’s compositions speak of the people, places and emotions that have shaped his musical transition. 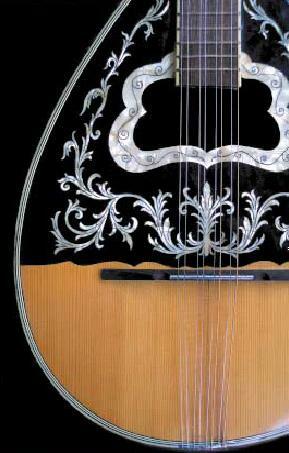 Born in Damascus, he has forged an international career as a qanun soloist and oude (Arabic lute) player. In the process he has become a composer of striking technical brilliance and remarkable originality. The qanun is an Arabic zither, a complex and beautiful 81-string instrument that traditionally requires a long apprenticeship to a master. Under the tutorship of the legendary qanun player Selim Serweh, Abdullah quickly excelled to surpass his teacher and went on to win a scholarship at London’s prestigious Guildhall School of Music. Having made his own personal connection with the West, Abdullah has remained true to his Arab and Islamic roots, With his ensemble Nara, Abdullah has developed a sound that blends the unmistakably Arabic qanun with jazzy double bass and Western percussion, as well as the more traditional counterparts, such as the nay (Arabic flute), darbuka and Oriental accordion. Nara’s unique sound has enchanted audiences throughout Europe and Canada as well as in the Middle East. Abdullah will perform his riveting own compositions, including the highly acclaimed assalamu-alaykum (Peace unto you). This will be followed by Bab al-Toma (Gate of Damascus), The Cave and Bab al-Sharqi (The Eastern Gate). These songs all reaffirm the universal message of love, peace and harmony. Abdullah emphasizes that through music, song and rhythm, we can all enhance and achieve deeper spirituality and inner tranquility. The Arabic word tariqa (pl. turuq) means path or way, and also refers to a mystical order or a Sufi community. The Burhaniya Tariqa originated in the 13th century and was revived in the early 20th century by the Sudanese Shaykh Mawlana Mohamed Osman Abdu al Burhani (1902-1983). Under his leadership and that of his son and grandson, the order has spread widely in the West. It is now regarded as one of the leading Sufi fraternities. Uniquely, the Burhaniya is a Sufi order for both women and men. They follow the Sufi path that defines all aspects of their daily life and worship. There are many Burhaniya Sufi centers (zawiya) around the world, including London where members meet to pray, to learn, to celebrate and to socialize. In this context, religious music and devotional songs play an important and intrinsic role in Sufi spirituality. The order’s choir, who come from the Sudan, will be accompanied by African drums while singing a medley of liturgical songs glorifying the Divine and praising the Prophet. Under the leadership of Tawfiq Mohamed, the Burhaniya choir will perform songs extolling the glory of God as the creator of the world and the Ultimate Truth. It will then honour and eulogise the Prophet Muhammad and conclude with a rhythmic hymn to the power and compassion of God. The song speaks in analogy of how the earth needs sunlight for its physical nourishment and how human being needs spiritual light for their soul. The song that was a great hit in Malaysia and Singapore in the mid-90s. It speaks of the need for the Muslim community (the ummah) to seek unity and for the leaders to listen to the voice of the common people. In a life that bridges both East and West, Razia Sultanova was brought up in Central Asia and went to study at the Moscow State Conservatory, where she completed her PhD on the subject of ‘Rhythm in Uzbek-Tajik Classical Music Shashmaqam’. Now living in London, she is a virtuoso exponent of traditional Tajik and Sufi Uzbek music and of the Maqam repertoire. Playing the Uzbek frame drum, she will give a rendition of Uzbek female music: Love Divine And Love Terrestrial. Women’s musical input is clearly important in preserving traditional Central Asian music and culture, but this only becomes apparent on a closer view. Razia’s choice of the feminine repertoire, which is performed exclusively indoors, far from the eyes and ears of strangers, enables her to demonstrate the true richness of feminine art and culture from her part of the Muslim world. The different stages of women’s life and role in Uzbek society are mirrored in the richness of folk music in its earthy and divine dimensions. Multiple genres from lullaby to songs of love and marriage, ritual music, Sufi zikr (rememberance of God), and mourning rituals constitute the basis of Uzbek music. Dr Sultanova will illustrate her wide repertoire by singing folk poetry in the form of an Uzbek lullaby, a female Sufi ghazal (musical poetry) intertwining divine adoration with worldly love, and a traditional ritual ode by Babarakhim Mashrab (1640-1711), a famous Central Asian Sufi poet renowned for his opposition to cruel landlords and religious fanatics. A talented UK-based trio which has a genuine passion and zest for music performs a medley of Bangladeshi spiritual songs. Syed Dulah was inspired to seek out fellow music lovers Syesta Khan and Ahmed Moyez to form a dynamic trio specializing in authentic Bangladeshi folk and spiritual music. Accompanied by traditional instruments, they perform regularly at Bangladeshi functions in this country. Their first song revolves around the key spiritual relationship between the student and the sage while their second rendition shows how the mystic poet dissects his spiritual self in a subtle way. His use of symbol and imagery makes the song more complex and there is room for contradictory explanations. The third song is called ‘Muhammad is my prophet’ which is a tribute to the founder of Islam. The song seeks blessings both here and in the Hereafter. The fourth song is a cry of the mystic soul that yearns for a close relationship with God. The poet raises questions about the mysteries of the world that are beyond the comprehension of ordinary human beings. This final song rejects the material realm as a permanent abode for human beings and declares that we exit this world alone and that durable success in the afer life depends on. One of the oldest forms of the flute is the ney, the endblown flute played in slightly varying forms from Morocco to Pakistan. The word is Farsi (Persian) for reed. The traditional ney is made from the Arundo Donax plant although some modern ney makers have experimented with metal and pvc materials. However, the finest sound still comes from a well made natural cane ney. Kerem Lutfi Akilli is an accomplished player of the ney. He was born in 1980 in Adana, Turkey. After his secondary education in Adana he went to Izmir Ege University to study International Relations and graduated in 2004. It was while at university, that he took private lessons from well-known Ney teachers. Kasif Demiroz, a prominent neyzen teacher at Izmir University Conservatoire, especially influenced him. He has performed in musical concerts in and out of Turkey. Kerim will perform two renditions. The first is a Turkish mystical musical improvisation while the second is a classical Turkish composition written by Sultan Selim III (1787-1807). Yusuf Khattaab and Al-Ansary are the founding members of an innovative British Muslim Rap group. Yusuf Khattaab was born in Cairo of mixed Egyptian and Indian descent. His family moved to England when he was 13. A keen lover and connoisseur of music, art and design, he studied Audio Engineering at Goldsmith University. At age 24 he met al-Ansary, an Egyptian-Spanish national and a devout Muslim. Re-dedicating themselves to God and religion, they formed the nucleus of a Muslim group, the Lions of da Dezert specializing in traditional and contemporary spiritual music. Al-Ansary, a hafiz by training (someone who has memorized the entire Holy Qur’an) brings authentic lyrics and rhythms to their output of Arabic and English nashids (hymnal music). Their musical output is aimed at younger Muslims growing up in the West. ‘Walking in the Path of Allah’ is a mixture of traditional and modern nashids using no other musical instruments other than Dufta drums and vocal percussions. The Lionz of da Dezert will perform three songs. The first is entitled, Allahu (He is God) reaffirming the sovereignty of the Lord of the worlds. The second is based on the cardinal testimony of faith; ‘There is no deity but God’. The last song salutes the inspirational spirituality of the Prophet Muhammad. Moroccan folk and religious music holds a special place in the hearts and minds of the people. Morocco combines the best of African and Arab musical rhythms and lyrics. Born and bred in Marrakech, Mustapha el-Bahja received his formal musical training in local conservatoires specialising in traditional and contemporary Moroccan music. After starting his musical career in his homeland he settled in London. 1n 1988 he recruited other talented Moroccan musicians to form his well-known orchestra that has performed at a number of prestigious venues. They have played for the Queen at the Chelsea Flower show as well as for Prince Charles and other dignitaries. Aside from being the lead vocalist, Mustapha al-Bahja also plays the Moroccan drum. He is accompanied by Rashid on the Darbaka, by Boujoum playing the violin, Muhammad with the Oude and Rasheed with the Hajhouj. They will perform four songs. The first is the classic affirmation of faith, ‘La illaha illal-la’ (there is no deity but God). The second song is a moving tribute and salutation to the Prophet Muhammad. The next is called God is my Lord and the finale is entitled ‘the Rules of the Prophet’.